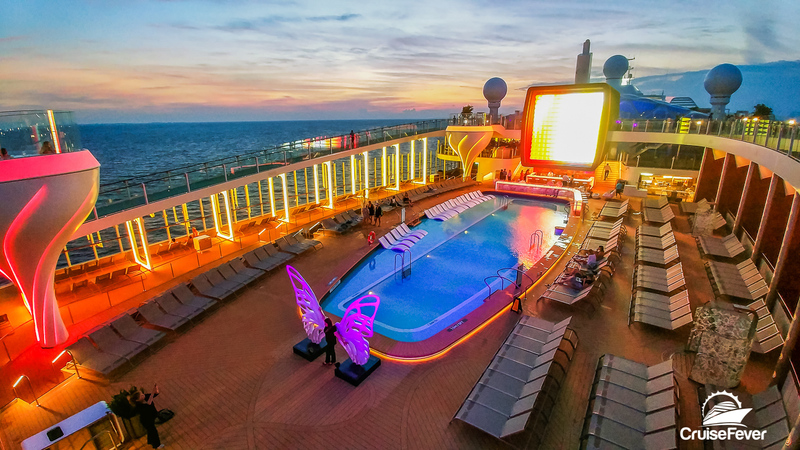 I recently had the chance to take a two night preview cruise on Celebrity Cruises’ newest cruise ship, Celebrity Edge. Celebrity Edge is also the newest cruise ship in the world and will start sailing cruises to the Caribbean from Port Everglades next week. Celebrity Edge has been named the most anticipated new cruise ship of the year. But I’ll be honest, it’s not just that. It’s the most impressive new cruise ship in years. While Cruise Fever will soon release our video tour and review of the ship on YouTube and Facebook, here were my first impressions of Celebrity Edge.